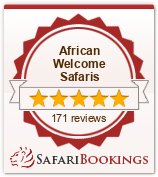 Victoria Falls Safari Lodge is a deluxe 72-roomed African Lodge prides itself on hospitality and food rivalled only by uninterrupted views and magnificent sunsets. Created with a keen eye for detail; hardwoods, thatch, vibrant colours – the effect is awe inspiring. The Victoria Falls Safari Lodge is set high on a plateau, which forms a natural boundary to the unfenced Zambezi National Park, and is just four kilometres from the majestic Victoria Falls. This deluxe 72-roomed African Lodge prides itself on hospitality and food rivalled only by uninterrupted views and magnificent sunsets. Created with a keen eye for detail; hardwoods, thatch, vibrant colours – the effect is awe inspiring. Each bedroom has its own balcony, air-conditioning and modern bathroom. Our viewing platform is located in the central hub of the lodge, and is in close proximity the Buffalo Bar. Sit back and enjoy a quiet drink whilst you watch various forms of wildlife amble down to our on-site waterhole. Our snack menu is also on offer from 12.30pm to 6.00pm daily. The Makuwa-kuwa’s name and inspiration come from a Royal Drum of local legend. While its name may trip a few tongues, its mouth-watering cuisine has been designed to tempt even the most jaded pallet. Split level in design, the a la carte restaurant offers a wide variety of internationally styled cuisine, with a hint of African and game dishes thrown in. Diners, who are summonsed by drumbeat, are tempted by a selection of gourmet dishes including a range of soups, salads, pasta dishes, fish (including the Zambezi crocodile), seafood, poultry, Zimbabwean beef, game and a variety of desserts and special coffees. An integral part of the dining experience is the incredible vista of the un-spoilt Zambezi National Game Park, which stretches down below. The setting is further enhanced by a nearby waterhole, which attracts regular game. International visitors, in particular, thoroughly enjoy game-viewing while they dine. The Makuwa-kuwa seats 120 people, and, naturally, the décor revolves around the Royal Drum theme. Even the light fittings are suspended from the ceiling inside African drums. Listed in Heineken’s “Great Bars of the World”, The Buffalo Bar is the favourite “watering-hole” of many a guest. Situated in the main hub of the complex, this provides relaxed, congenial surroundings for viewing Africa’s incredible wildlife close-up. The Buffalo Bar offers a wide selection of beverages and has an extensive cocktail menu. It also serves snack meals from between 12.30pm to 6.00pm. Relax and enjoy the African experience on our pool deck, overlooking the on-site waterhole which offers a wide variety of game. Drinks are offered throughout the day by our friendly staff, and a tasty snack menu is available from 12.30pm to 6.00pm daily.